Bring style to your everyday look whilst protecting your eyes from harmful UV rays with these Ray-Ban 4171 Erika Sunglasses which come in Black, Light Grey Gradient and Dark Grey. 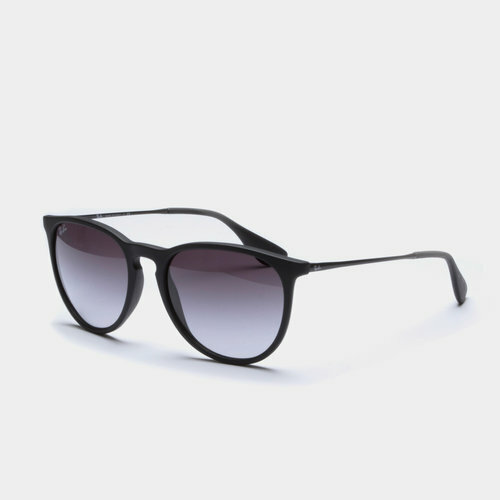 These Ray-Ban sunglasses are a nod to past styles with their distinctive round shape along with the combination of plastic and metal arms adding detail into the look, this style also enjoys a soft bridge which offers even more in the form of style. Smartly presented with a black frame with a perfect finish, these Ray-Ban sunglasses come complete with their own stylish carrying case so you can be prepared for any occasion, indoors or outdoors. Take this style around another rotation and pull on these Ray-Ban 4171 Erika Sunglasses.